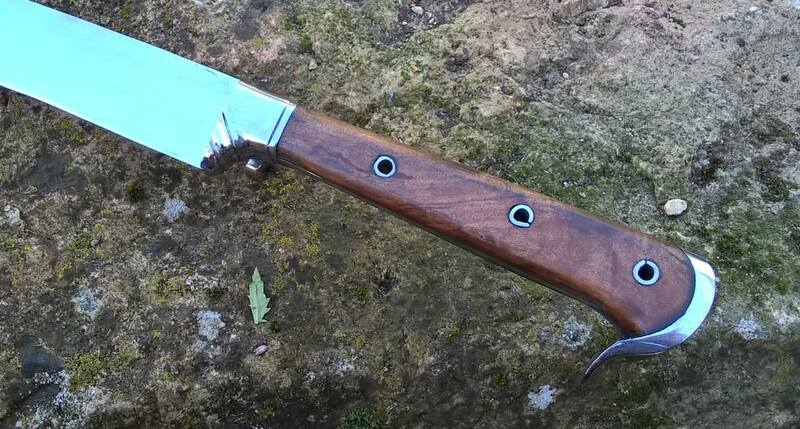 The Rugger is a specific type of so-called “peasant’s weapon” (Bauernwehr) from the Swiss mountains/South Germany of the XIVth to XVIth centuries ; this one being very well late XVth. 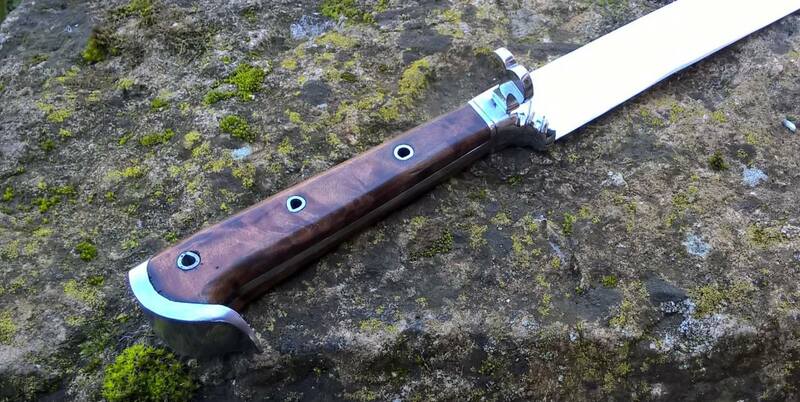 High carbon steel blade, steel fittings (hand-rolled steel pins) and elm scales. OAL 509 mm (370 mm blade). That looks really nice, but I want the anvil. There is no way I could afford the anvil or the shipping on it (let alone both combined), and I am guessing you don't plan to part with it, but my little 125 pound anvil is now crying in the corner out of shame. That anvil of mine is old and battered, Greyson. You deserve something better. 125 lbs is what I'd been working with for the first few years of my business, and it's enough for lost work - make sure to secure it to a heavy, heavy stand. 2. elm scales look very nice grain. If I didn't have the one I would want the other!